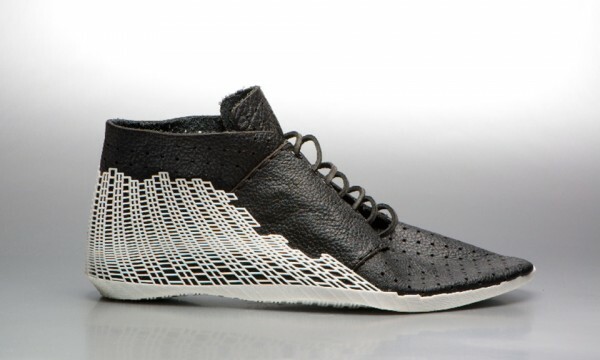 Designer Earl Stewart has created a 3D printed hybrid shoe that merges traditional shoe styling with state-of-the-art 3D printing technologies. 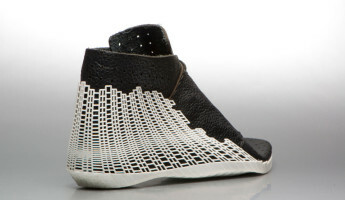 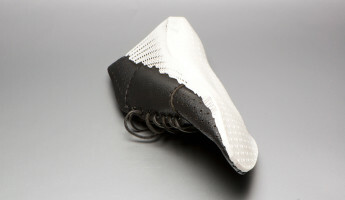 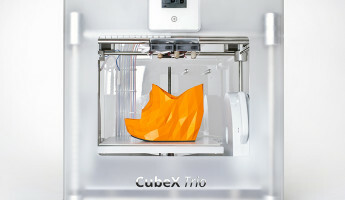 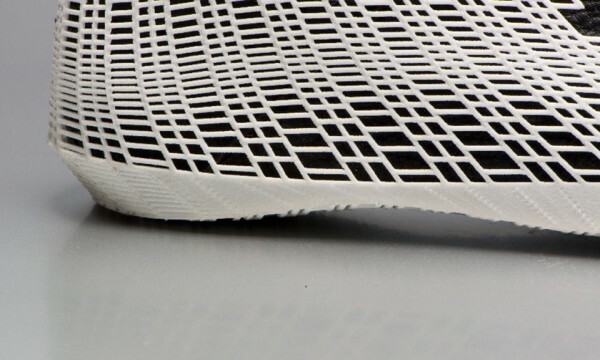 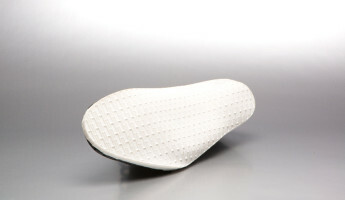 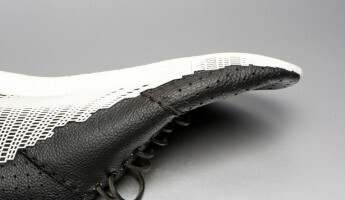 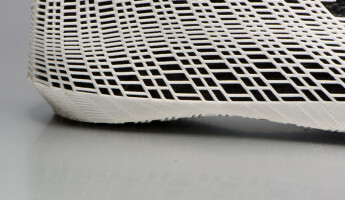 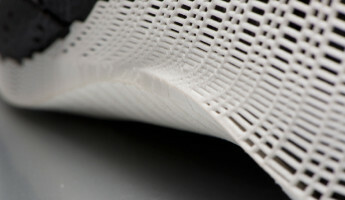 The heel of Stewart’s “The Bits Shoe” features a white 3D-printed mesh that continues into a solid white outsole below. This contemporary edge is matched with a classical upper design, where leather pieces are stitched together for an old-meets-new kind of contrast. 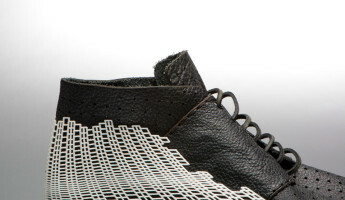 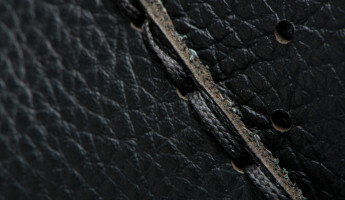 The traditional leather elements are fashioned with a bit of technology on their own, as each piece is laser cut and perforated prior to stitching. 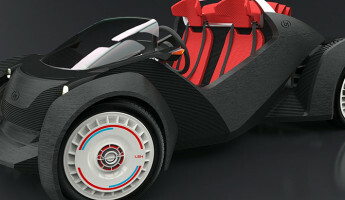 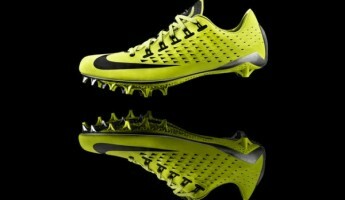 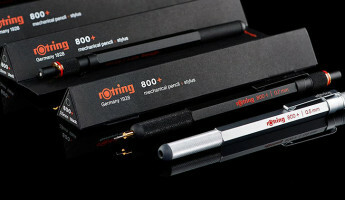 The result yields a killer set of high-tech kicks that we hope are on their way to market. 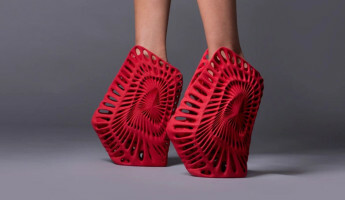 As soon as they are, we’ll take a size 12, please.